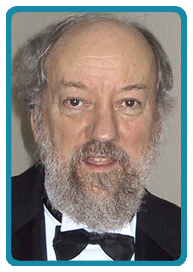 WTZIMI is managed by renowned finance researcher Dr. William T. Ziemba. Dr. Ziemba is the Alumni Professor of Financial Modeling and Stochastic Optimization, Emeritus in the Sauder School of Business, University of British Columbia where he taught from 1968 to 2004. He now teaches as a visiting professor. Dr. Ziemba received his PhD from the University of California, Berkeley. In the past has been a visiting professor at Cambridge, Oxford, London School of Economics, and Warwick in the UK, at Stanford, UCLA Berkeley, Chicago and MIT in the US, Bergamo and Venice in Italy, Tsukuba in Japan and the National University of Singapore. Dr. Ziemba has been a consultant to a number of leading financial institutions including the Frank Russell Company, Morgan Stanley, Buchanan Partners and Gordon Capital. His research is in asset-liability management, portfolio theory and practice, security market imperfections, Japanese and Asian financial markets, sports and lottery investments and applied stochastic programming. He has published widely in journals such as Operations Research, Management Science, Mathematics of OR, Mathematical Programming, American Economic Review, Bell Journal of Economics, Journal of Economic Perspectives, Economic Letters, Journal of Finance, Mathematical Finance, Journal of Economic Dynamics and Control, Financial Analysts Journal, Journal of Portfolio Management, JFQA, Journal of Banking and Finances, Finance Research Letters, Quantative Finance, and Interfaces and in many books and special journal issues. Recent books are Stochastic Programming: State of the Art 1998 (with Roger Wets, 1999) and Research in Stochastic Programming (with John Birge and Chanaka Edirisinghe, 2001) both from Baltzer/Annals of Operations Research and outputs of the 8th International Conference on Stochastic Programming he organized in Vancouver in 1998. Other recent books are Worldwide Asset and Liability Modeling with John Mulvey and Security Market Imperfections in Worldwide Equity Markets with Donald Keim, both Cambridge University Press, 1998 and 2000, respectively, The Stochastic Programming Approach to Asset Liability and Wealth Management, AIMR which was published in 2003, and Applications of Stochastic Programming, with Stein Wallace, SIAM-MPS, 2005. Current books in press are the Handbook of Asset Liability Management with Stavros Zenios and the Handbookof Sports and Lottery Investments with Donald Hausch, both for North Holland. His co-written practitioner paper on the Russell-Yasuda model won second prize in the 1993 Edelman Practice of Management Science Competition. He has been a futures and equity trader and hedge fund and investment manager since 1983. He is the series editor for North Holland's Handbooks in Finance and from 1982 to 1992 was the department of finance editor of Management Science. He is an associate editor of five academic finance and management science journals.